When a storm strikes, it leaves a significant damage. The strong wind could tear away your weakened shingles, or a tree could fall on your roof. When this happens, it’s important to know about the steps to take in the event of a storm damage. Ritco Group, Inc., the leading experts in residential and commercial roofing, encourages homeowners to know these steps. 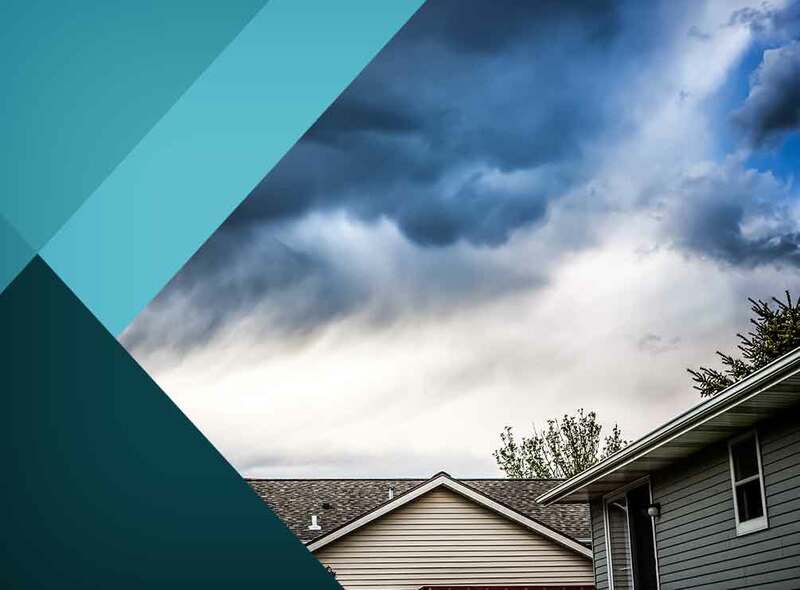 Don’t panic when a storm damages your roof. Instead, take your family to a safe area, and then call your trusted roofing contractor for help. An unstable roof is highly unsafe. Panicking could lead to more damage when you try to do the repairs on your own and even risk your own safety. The best thing to do while waiting for your contractor to arrive is to clean up the affected areas of your home. This means removing debris, setting aside torn shingles and watching out for exposed nails. Usually, you contractor will perform an initial inspection before doing the roof repair. This lets customers know what they should expect when filing an insurance claim. It is not advisable to do the inspection yourself. Trust in roof inspectors who have years of training and expertise in finding your roof’s problems. An assessment is also required by insurance companies since there are certain instances where a warranty may be voided due to lack of roof maintenance and alteration without prior consent. After having the assessment done, it’s time to file an insurance claim. In some cases, homeowners take this opportunity to do a complete roof renovation project for better defense against storm damage. Trust in experienced roofers to finish the job. Our crew has always been rated the most responsive and trusted professionals for emergency and standard roof repairs. At Ritco Group, Inc., we work quickly and efficiently in repairing the storm damage on your roof. Immediately deal with storm damage by giving us a call at (931) 208-2300, or fill out this contact form to schedule a consultation. We serve homeowners in Brentwood and Murfreesboro, TN.